Webcampak constantly collects metrics from the system to inform users about usage and evolution over time. 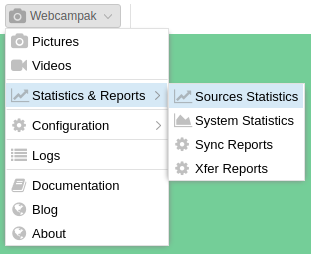 The Source Statistics provides of view of a source's usage over time. The system behaves differently depending on the type of metrics to be collected/displayed. Pictures and Size are collected "on-the-fly" as requested by users, therefore can span the entire duration of a project. 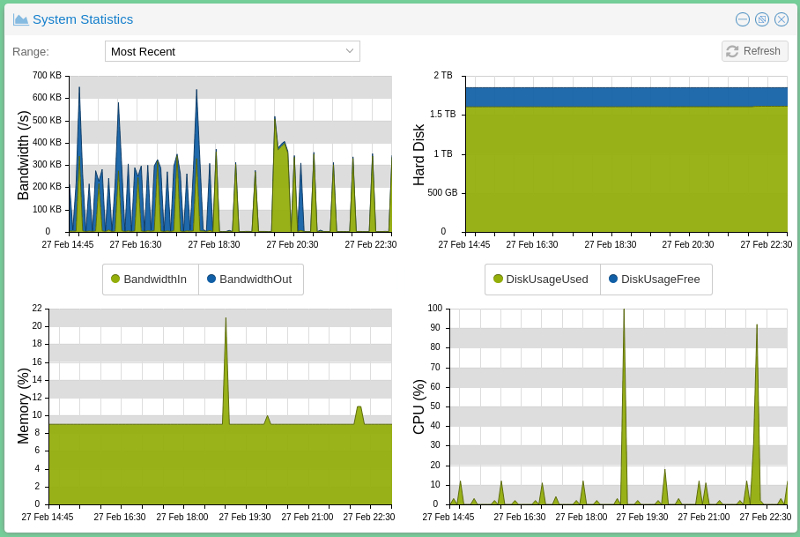 Disk Usage metrics are collected daily by Webcampak. In the example above, there a limited (almost none) history available since this particular project completed in November 2017 just as this Webcampak 3 server was installed (Webcampak 2 stats are not compatible with Webcampak 3). Pictures were captured from March 31st, 2015 until November 07th, 2016. 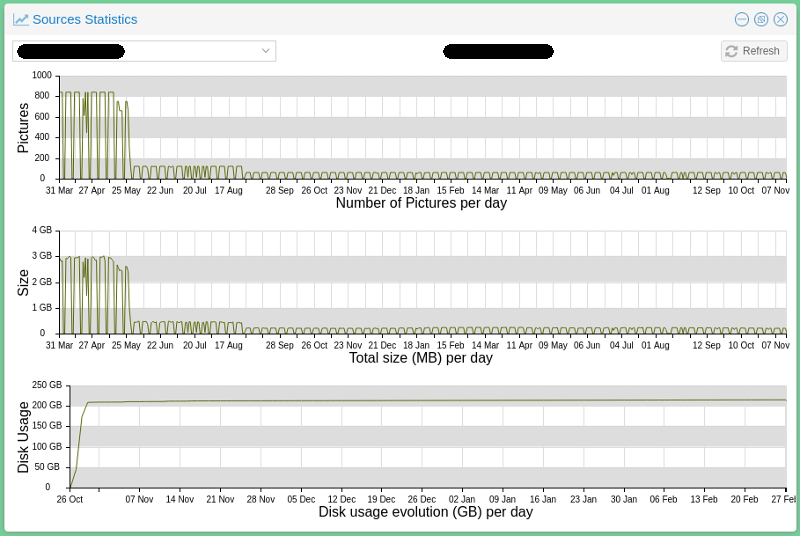 From August 31st until November 7th, the system was capturing 60 pictures per day. We can also see a couple of sessions with variation in the number of daily pictures, which likely indicates capture incidents. 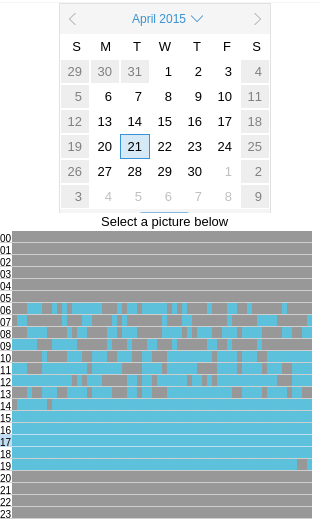 If we look a bit closer at one of those days, April 21st, 2015 (the first red rectangle), we can see that although the Webcampak was still capturing pictures, it was apparently struggling to send them between 06:00 and 14:00. In this particular instance, there were some internet connectivity issues and it was decided that it was not worth transferring the missing pictures from Webcampak local storage. On a side note, this type of issues if one of the reasons why we implemented the XFer mechanism, which will accommodate Internet connection issues. 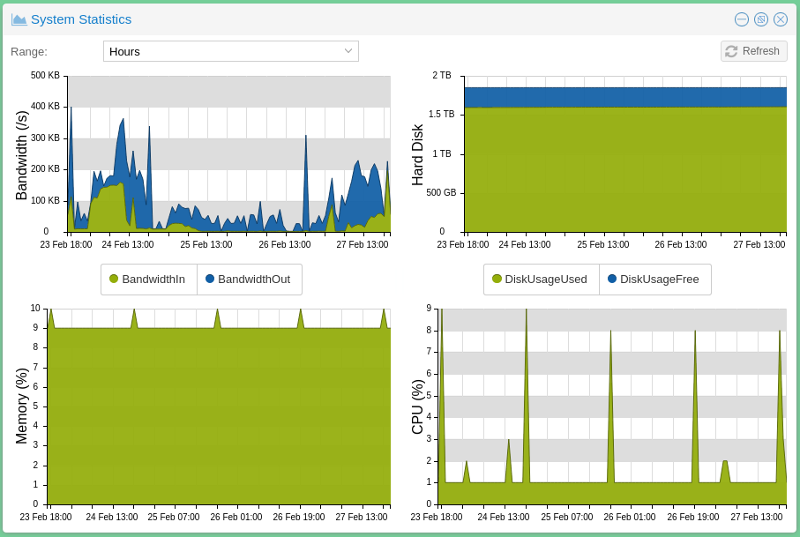 There was a bandwidth spike around February 24th, where total average bandwidth for a particular hour went up to 350KB/s. Note the selected range, which means that this spike is an average over the entire hour.